This past Saturday I preached Mrs. Edna’s funeral. She had lived more than ninety years on the earth, although she actually fell a little less than a decade of her goal. I noted at the funeral that everyone of us had our “Edna stories” that were actually our own precious treasures. Rather than rehearsing a few of those choice stories, I urged those in attendance to treasure the hidden anecdotes that we had hidden in our memories. Edna knew the Lord, and at life’s end, that’s all that really matters. It’s not about accumulating wealth, titles, properties, or fame. It’s what a person did with Jesus that matters. Edna had trusted Christ in life, and she had trusted Him in death. The sorrow we felt at Edna’s funeral was not hers. No, the sorrow we felt was ours. We lost a friend who had made us laugh and cry. She was someone we enjoyed and sometimes just put up with! We would do well to remember that when Jesus left His rightful place in heaven that the apostle John describe it as “the Word became flesh and dwelt among us” (John 1:14, ESV). John’s word for dwell literally means “to pitch a tent” or “to tabernacle.” In other words, when Christ came to the earth, He lived as a human being — “He pitched His tent among us.” When He had accomplished His mission on earth — His death, burial, and resurrection — He returned to His Father in heaven. Scientists tell us that the cells in the human body continually die and replenish so that every seven years we get an entirely new body. That means that Edna had lived in several bodies! We did not weep for her when she moved from the first to the second or the fifth or the sixth or even the twelfth! Why should we weep now when she moved from her earthly tent into the wonderful house that the Lord has prepared for her? Paul said that when this old earthly tent is worn out and is no longer fit for habitation, we move into “a building from God, a house not made with hands.” A building has a foundation, suggesting a permanent house and not a tent. This new house is an eternal dwelling place. Edna lived in several places since I’ve known her. Some of them were nicer than others. But now, Edna has moved again! And we should be happy for her! Let me offer some more words of encouragement from Paul, “So we are always of good courage. We know that while we are at home in the body we are away from the Lord….Yes, we are of good courage, and we would rather be away from the body and at home with the Lord” (2 Corinthians 5:6,8, ESV). Note the words “away from the body and at home with the Lord.” There’s no in between time. Death is a part of life just as much as birth is a part of life. Let’s just suppose for a moment that Edna could have reasoned in her prenatal state. “Something is about to happen to me. I’m about to leave the only place I’ve ever known. It’s good in here. I’m safe. I’m well-nourished. I’m going somewhere I’ve never been. This must be death.” When the reality is that she discovered birth, not death. She left the narrow confines of her mother’s womb to discover a far greater and richer life. But if Edna could speak to us, she would undoubtedly say, “No, I was wrong again. What I thought was death was another birth out of the human flesh experience to the superlative life of heaven. It’s far greater and richer than I could have ever imagined. I’m sure you know the “five-second rule.” You know the idea that if you drop a delicious bite of food on the floor, dirt and germs don’t have enough time to contaminate it. Parents sometimes apply this rule to pacifiers, although I doubt that first-time parents would do so! The history of the five-second rule is difficult to trace. One legend attributes the rule to Genghis Khan, who declared that food could be on the ground for five hours and still be safe to eat. Professor Schaffner tested four surfaces — stainless steel, ceramic tile, wood, and carpet — and four different foods: cut watermelon, bread, buttered bread, and strawberry gummy candy. They were dropped from a height of five inches onto surfaces treated with a bacteria. The researchers tested four contract times — less than one second and five, thirty, and three hundred seconds. A total of 128 possible combinations of surface, food, and seconds were replicated twenty times each, yielding 2,560 measurements. So after those 2,560 drops they found that fallen food had not escaped contamination, leading Professor Schaffner to conclude, “Bacteria can contaminate instantaneously.” In other words, they debunked the legendary five-second rule. My first reaction: Really? You actually conducted a two-year study on this? And why conduct any phase of this experiment for thirty seconds, let alone three hundred seconds? Yet I will give Professor Schaffner credit for going to the effort of disproving the five-second rule rather than blindly accepting it as fact. And it makes me question other things that we blindly adopt without critical study. What cultural and lifestyle beliefs have you adopted without critical study? What theological ideas and beliefs have you assumed were true because someone told you they were true? We live in critical times. We must be discerning. We must remain true to the Lord Jesus. There is no middle ground. 1 Beloved, do not believe every spirit, but test the spirits to see whether they are from God, for many false prophets have gone out into the world. 3 and every spirit that does not confess Jesus is not from God. This is the spirit of the antichrist, which you heard was coming and now is in the world already. 5 They are from the world; therefore they speak from the world, and the world listens to them. 6 We are from God. Whoever knows God listens to us; whoever is not from God does not listen to us. By this we know the Spirit of truth and the spirit of error. On Sunday (August 17) we begin a new series of messages at Mandeville’s First Baptist Church called “Joseph: A Life of Integrity.” This nine-week series of messages has an aim to offer a model, though hardly perfect, of a person who God raised up to trust Him in every situation and to model His grace before those who did not deserve it. Shan Taylor will preach the first message in this series from Genesis 37, where Joseph’s story begins. With seminary classes beginning next week, this gives Shan the chance to dedicate more time for preparing this message. We have other reasons for having the various pastors from our staff to preach from time to time. First of all, when I’m away from town, it makes sense to have someone from our team to preach because they already know our church family and understand our vision and mission. Second, God has given us a number of gifted preachers, and it is just good stewardship to use them. I must admit that giving up pulpit time to others has not been easy for me, because I love to preach the Word. However, the Lord has given me a calling not only to preach but also to lead and equip. Therefore, in this season of my ministry, God has surrounded me with men who need to craft their own skills to preach. I believe that He will use this investment to further His Kingdom. There’s still another reason – church multiplication. We know that the Lord desires to reach more and more people with the saving news of the gospel. We also know that He has gifted us with so many leaders for a reason – to plant and/or to revitalize other churches. To that end, I am leading our team to prepare for a church multiplication strategy. While we will begin the “Joseph” series this morning, we have already started working on the next series of messages as a staff. Not that it’s surprising that we are working ahead, because I have tried throughout my ministry to provide “at least a clue” to David Watson (and now Tyler Harris), where my preaching was headed. But now we have begun preparing all aspects of the services in team fashion. In fact, a creative team will meet this evening to begin planning for October 19. The teaching team will work together on the message beginning in September, so that all who participate in the preparation for the message would be ready to preach on any Sunday. 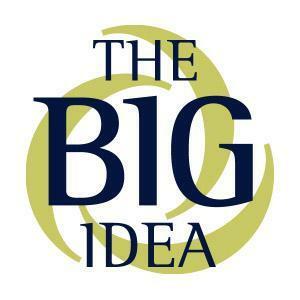 Such a preparation strategy will provide the benefit to those in our services that we will all be focused on one unifying message (“the big idea”) for the week. We will also work to use the week’s theme in our Wednesday activities, including AWANA, the youth gathering, and the midweek service. This strategy will also position us to launch new congregations in the future and even to assist in the revitalization of other churches. Across the south, there’s a new strategy beginning as struggling congregations are requesting mergers with a stronger congregation. We saw in St. Louis when we went to World Changers last month. Struggling churches in Woodward, Monroe, and Baton Rouge have recently chosen to merge with other churches, and the results have been outstanding. Whether the Lord calls on us to help another congregation, I cannot know. However, I know that we have been gifted with people who can help make something like this occur. Therefore, I believe we must be ready when He calls. On Saturday, our youngest daughter, Melissa, will marry Cameron at our church in Mandeville. When the Lord called us from our native state of Texas in the spring of 1994, little did Gayla and I know that we would be investing our lives in this community and in Mandeville’s First Baptist Church. With Cameron and Melissa’s wedding, we have been blessed to have all four of children marry spouses who come from families with a godly heritage. Gayla and I instilled in our children biblical principles ever since childhood, and we continued to teach them God’s truth in every area of their living. Today, we serve as mentors to KeriBeth and Phillip, Kendal and Colin, Travis and Rebekah, and now to Melissa and Cameron. God has blessed us even more with KeriBeth and Phillip’s two sons, Barrett and Brennan. (Wow! Can they light up our lives!) I’m not sure how I will fair as the “father of the bride” and “preacher” for the last time, but I know that I will be a pile of emotions. Gayla and I have not fully come to understand exactly how the “empty nest” life will be. Part of me believes it will great, and another part of me longs for the days when we had all four of the kids home with the hectic schedules of school, sports, and family life. 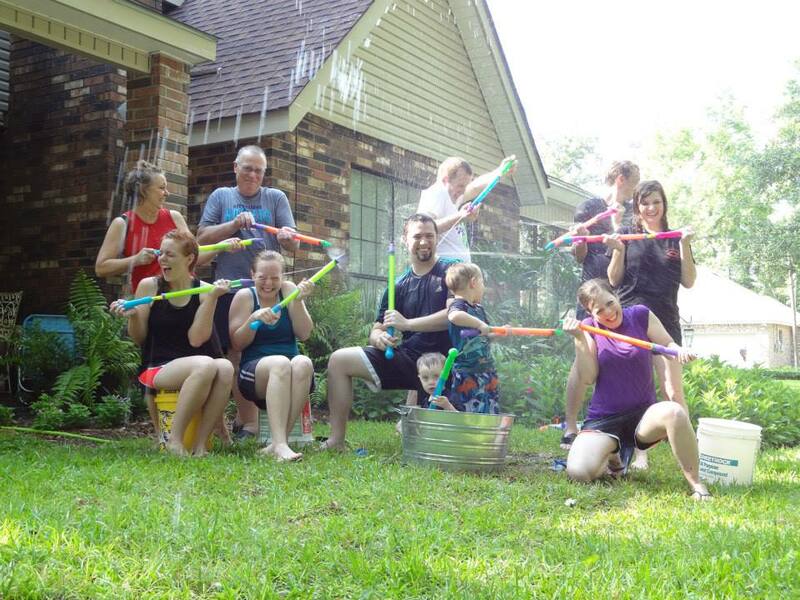 One thing I know that won’t go away — the wonderful gatherings of with the family — all of us. I know that we’ll have some great holiday times together, vacation trips, Sunday dinners after church, backyard water fights, trips to the baseball field, and on and on. What a minute! This sounds like a lot more of the same that Gayla and I have enjoyed for a long time! Only with more people! Praise the Lord! Now That We Have Voted What Do We Do? The nation voted last Tuesday, and Barack Obama will serve as our President for another four years. While just barely half of the electorate agree with this choice, in the mysterious providence of God has decided that he should win re-election. Remember, according to Romans 13, no authority exists except from God and anyone who resists that authority resists God. How, then, should we respond? First, we should pray for the President and all those who serve in positions of authority. According to 1 Timothy 2, we should do so in order “…that we may lead a peaceful and quiet life, godly and dignified in every way. This is good, and it is pleasing in the sight of God our Savior, who desires all people to be saved and to come to the knowledge of the truth” (1 Timothy 2:3-5). Make note of that last phrase! So let’s ask God to bless our President. Pray that God will give him wisdom and health. We can pray that God would give him success on his good ideas and change his mind on his bad ones. Second, must face the reality that “we don’t live in a Mayberry world” anymore. We could whine and complain about that; however, we will not reflect the light of gospel that way. I don’t believe that we should abandon our participating in the legal and political processes; yet, we may need to come to grips with what it means to be the church in an increasingly post-Christian era. And while we can expect further incursions into our constitutional liberties, so we should ready ourselves to defend our freedoms. Third, we must remain vigilant in the rights of unborn children. In Psalm 139, David said concerning God, “You formed my inward parts; you knitted me together in my mother’s womb.” So while we agree that we should support and pray for our President, we must respectfully disagree his political party’s position on abortion. We must continue to fight for life through education, ministering to women, and promoting orphan care. Fourth, we must show respect and live as law-abiding citizens. We don’t need to go blathering with a faux outrage about how horrible things like so many pundits so often do. We need to remember that “our citizenship is in heaven, and from it we await a Savior, the Lord Jesus Christ” (Philippians 3:20). Unlike those who see this life (and politics!) as singularly important, we see behind everything that occurs God’s sovereignty on display. Here’s the bottom line: For those of us who believe in the gospel of Jesus Christ, nothing has changed. The gospel has not changed. We still serve Him who has declared victory over sin and death. However, our mandate does not concern getting someone elected as President. Our mandate is to advance the Kingdom has already prevailed. No matter who sits in the positions of authority on earth, King Jesus still reigns and will reign forever and ever. Two weeks into the Foundations series, we have covered two significant doctrines. First, we addressed “revelation” – specifically, the inspiration of the Scriptures. Last Sunday, we considered the doctrine of God – that He has revealed Himself as the Trinity. We’ll continue through this doctrinal series for the next several weeks. I hope that you have discovered that doctrinal preaching is far from boring or only for Bible geeks, but is extremely relevant to our lives. God’s Word, in every way, helps us live for God and in His service. The next doctrine in this series will take us back to the beginning as we consider what the Bible says about creation. To give you an idea as to where we will head over the next couple of weeks, we will consider the doctrines of man and the fall of man. Whether you have attended this church for years or if you only began attending, you can see that we have a high view of the Bible. Through the Word, we can know the will of God and how to live. That’s why we encourage you to bring your Bible with you and use it in the services and in Life Group. We also encourage you to take some notes so that you can remember what you hear and so that you can share what you have learned with someone else. On Thursday evening, many of you gathered at the Hub to begin a dedicated time of praying and fasting for David Holbrook. What a moving experience! I marvel at David’s faith and that of his family and that of his church family. He continues looks upward and outward through his illness. David told me last week that he counts it a privilege for God to be exalted through this illness and sees the strengthening in this church body. Your prayers of faith, your words of encouragement, and your actions of ministry will lift the Holbrooks during this time. We join together as a church family to care for them and to sustain them – just a family should. Last week in one of our Growth Groups, Alana (David’s wife) expressed how blessed they were to have joined this church family because they had received so much than they could ever imagine. We are a body of Christ-followers. That means that individually we have admitted our need for a Savior and have asked Jesus to help us turn from our sin. Furthermore, we have trusted Him to rescue us from our sin and to forgive us. We live in recognition that Jesus is the Lord of our lives. We are a body of baptized believers. The Bible teaches that when an individual has become a Christ-follower that person should follow the Lord in believer’s baptism. If you have been baptized (immersed) following your conversion to Christ, you may join our church family. If you have not been baptized and have trusted Christ for your salvation, we can arrange for your baptism. We look forward to celebrating with you and incorporating you into the life of our family. Over the past several weeks, I sensed the Lord wanted me to set aside the sermon series from the gospel of Mark and preach a series of messages on biblical doctrines. After this series, I will return to Mark and pick up the message series with chapter 6. What I have discovered over the years that many people only see bits and pieces of the Bible, lacking a big picture of how the Scriptures hold together. Theology and doctrine provide that larger vision of the entire Bible. In his book, The Social Animal, David Brooks illustrates the need for a big picture by using an illustration from the game of chess. Brooks said that when a group of highly skilled players and a group of nonplayers were shown a series of chessboards [with chess pieces] for about five to ten seconds each that later, the grandmasters could remember every piece on every board. The average players could only remember about four or five pieces per board. Why did the chess grandmasters have such an amazing ability to remember the pieces? They did not have superior IQs or better memories. No, Brooks explained that the reason the grandmasters could remember the game boards so well is that after so many years of study, they saw the boards in a different way. When average players saw the boards, they saw a group of individual pieces. When the masters saw the boards, they saw formations. In other words, expertise comes from forming internal connections so that the little pieces of information turn into bigger networked chunks of information. Last Sunday, I launched this systematic approach with a foundational message dedicated to God’s revelation – particularly through Scripture. This week I will attempt to offer a biblical description of God with a particular emphasis on the doctrine of the Trinity, and next week I will speak on the doctrine of creation. I could actually take several Sundays on each of these subject areas, but in an effort to cover about dozen key doctrines I will over speak on each of them on only one Sunday. Please don’t get the impression that I believe we can get everything in one message or in a series of messages. No, that will take a lifetime of learning and prayerful study. Nor can I – or anyone other pastor – disciple you in a setting like preaching. That takes an “up-close” kind of relationship, the way Jesus discipled the Twelve. Currently we have some small discipleship groups forming – “Growth Groups.” While Michael Blue will be leading an “open group” on Sundays at six o’clock, several other Growth Groups are forming. These other groups are “closed groups” – meaning that they are limited in enrollment number (no more than 12 in a group) and that you need to begin as a group together (from the first or second meeting time). Three of these groups have already formed and have started. Many of them begin tonight. If you have an interest, come back tonight at six and inquire about one of them.